The over N200,000,000 logo of the yet to be inaugurated Nigeria Air was unveiled at the Farnborough International Air Show, in Faraway United Kingdom. The move was strategic, and the idea was to alert the international community of our plan to set up a national carrier this December and to also get investors as the federal government will only contribute five per cent, while sourcing investors to bear the remaining 95 per cent. Charity they say begins at home and while the idea of attracting both foreign and local investors is very commendable, considering our present economic situation; it’s very important for the federal government to look inwards and do a lot of image laundering for Nigeria’s aviation industry, since we have become a laughing stock in the comity of nations with the myriad of negative stories they hear and read on a daily basis. 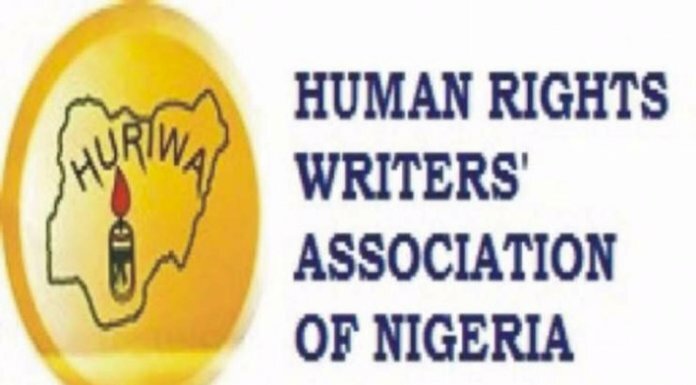 This, I must mention has done more harm than good to this industry and the airlines are the worst hit as they hardly get any deal sealed without an iota of discrimination lamented an airline chief. I will give two clear reasons why the federal government’s desire to get investors might suffer some setbacks and the urgent need to always jump and nip these issues in the bud when they arise. The reason why Virgin Atlantic pulled out of Nigeria is still very fresh. A government enters into a deal; another government comes and revokes it. The foreign partner or investor is disappointed, goes to his country and shares his experience with other investors and tomorrow you go back to beg for investors, and expect them to trust you? The concession agreement between MMA2 and the federal government is also a clear case that will definitely make it a bit difficult for Hadi Sirika’s team to woo investors. 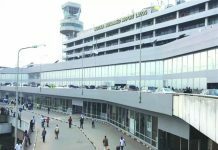 It is instructive to mention here that the Federal Airports Authority of Nigeria (FAAN) still collects 50 per cent of MMA2’s revenue till date, as the agreement that MMA2 has with the with federal government prohibits FAAN from managing the General Aviation Terminal (GAT) and collecting the revenue that MMA2 would have used to replicate the same top-notch facilities it has at MMA2 at GAT. The illegality of FAAN running the General Aviation Terminal has still not been condemned by the federal government whose team is junketing around the world with tax payers’ money searching for investors while still frustrating and stifling investors back home. 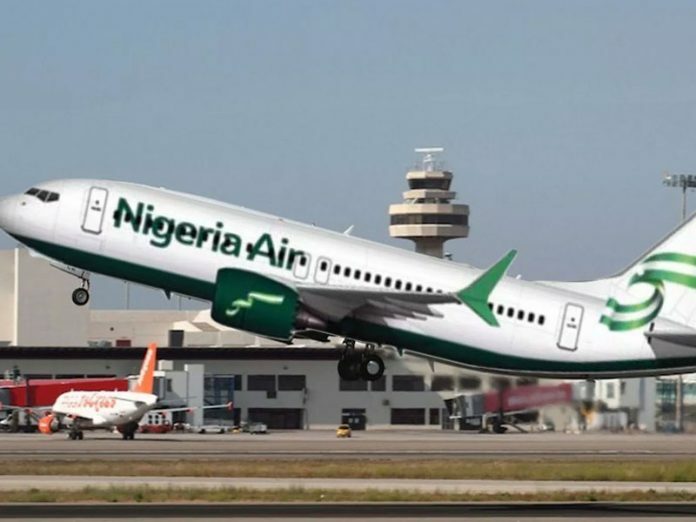 Now the point is, no shrewd investor whether ‘’home based’’ or foreign will ever trust the Nigerian Government on Nigeria Air with all of these unaddressed issues back home. The international community is watching how our ‘change’ government handles issues of ‘’mutual consent’’ with distrust and volte face. 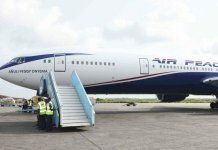 Some weeks back, there was an erroneous or better still ‘fake’ stories about two domestic airlines on social media, while the airlines refuted it in good time, the Nigerian Civil Aviation Authority (NCAA), refused to issue a statement to reassure the flying public being the main regulator. As a public affairs commentator, I know, and I trust many would agree with me, that a statement from the NCAA would have done a lot, not only to clear the air, but to abate the de-marketing that would have done to the industry in general. The aviation unions have also contributed in no small measure to the de-marketing of Nigeria’s aviation industry. The federal government, Ministry of Aviation and the regulators must check the activities of these unions as they have become a serious threat to the industry, particularly the airlines, and this is because the regulators and stakeholders have continued to condone their illegality. Last year, the National Association of Aircraft Pilots and Engineers (NAAPE), threatened to picket some airlines over alleged casualization of staff and anti labour activities, but the airlines decided to face them battle for battle by arranging the police to disperse them. Taking this bold step saved the airline from losing millions and their passengers, an unnecessary stress and delay, which would have been caused by their crude attempt to arm-twist the airlines into accepting what only exist in the minds of the unions. This is another senseless threat from a union in Nigeria’s aviation industry to disrupt the activities of MMA2 in the coming weeks without due consideration for the airlines or the monies that will be lost from this illegal plan? What will be the fate of the passengers who have bought the ticket of these airlines to meet important appointments, jobs or contracts? Will they suffer because ATSSSAN has refused to tow the path of reasoning? Have they asked if these staff were dismissed for inefficiency, ill health, redundancy or due for retirement? What will the union gain when they further de-market an industry that has suffered more than enough bad press both locally and internationally? Will this action not further frustrate the efforts of President Muhammed Buhari who has been exploring every opportunity to invite investors to Nigeria? In whose interest are these unions working? If this planned or better still illegal disruption of flight activities at MMA2 is allowed by the Minister, FAAN and the NCAA, then it will be safe to conclude that they are the prime sponsors of these touts called unions, whose members are predominantly present and past staff of FAAN, NCAA, and NAMA. It’s important for the Buhari led administration to investigate this unions now as these regulators seem to be using them to cover their ineptitude which is evident in the level of decadence at all the airports across the country. The so-called association should be advised that they will make a better impact if they work together to fight the cause of the airlines by issuing ultimatums or threatening marketers not to arbitrarily skyrocket their aviation fuel cost or to the NCAA to address the over 37 sundry charges that airlines pay including the VAT, which the FIRS still accumulates, even as FG made a lot of fuse about its removal to help airlines survive their harsh operating environment.